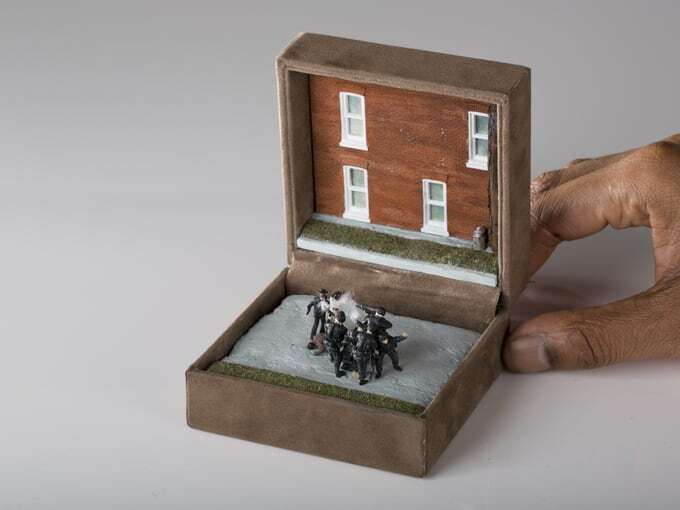 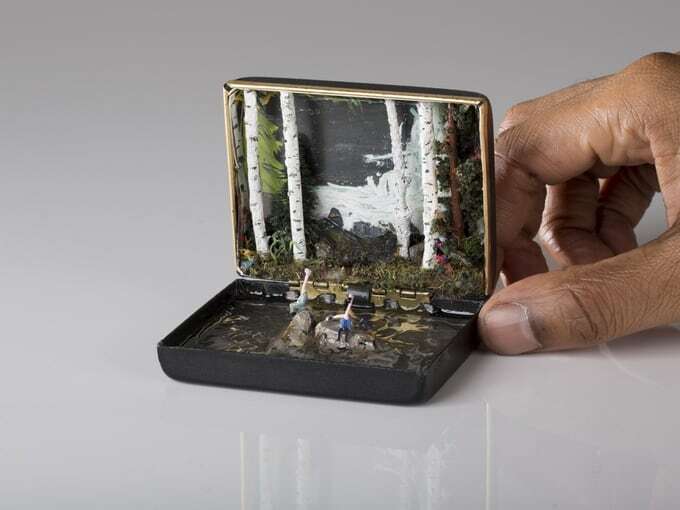 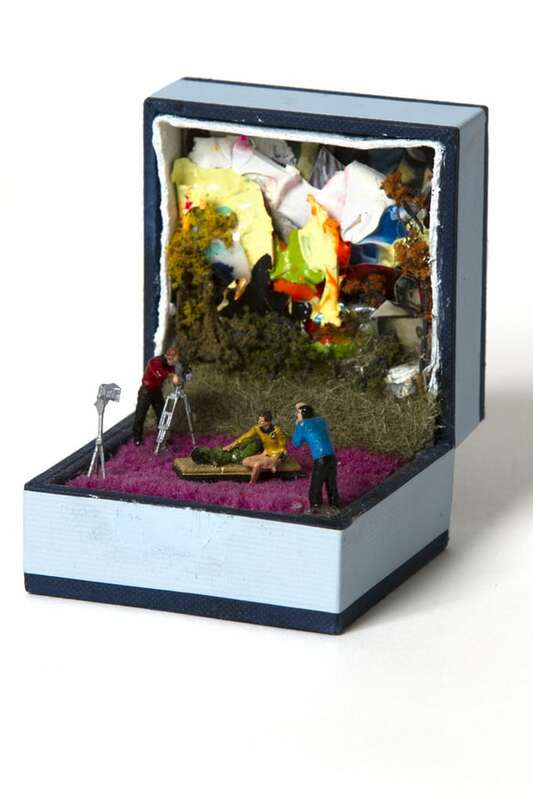 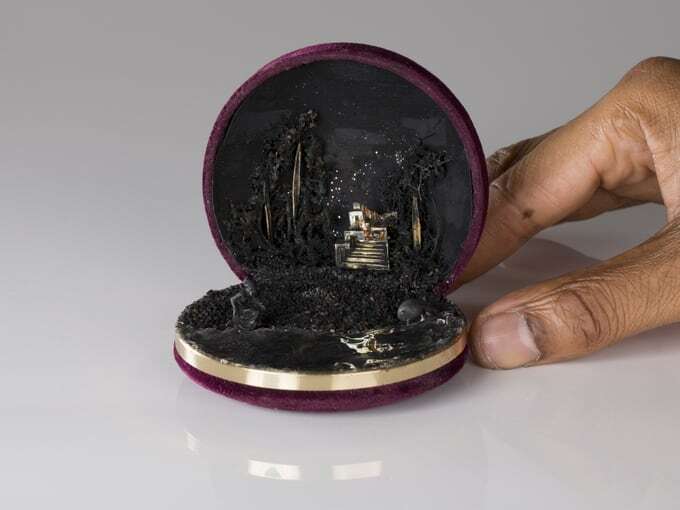 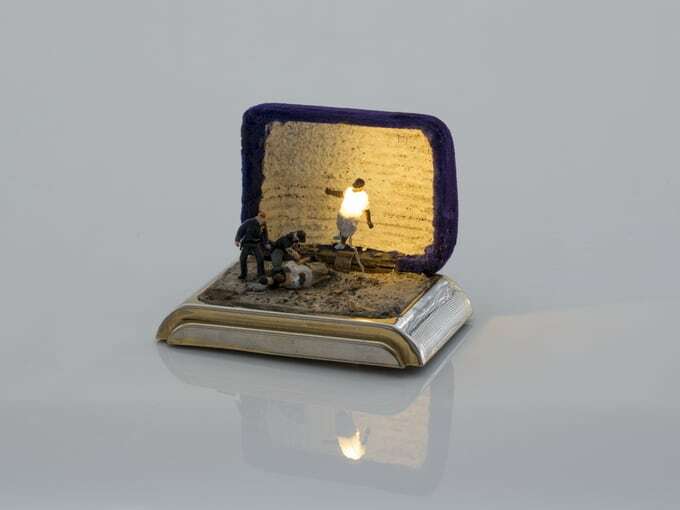 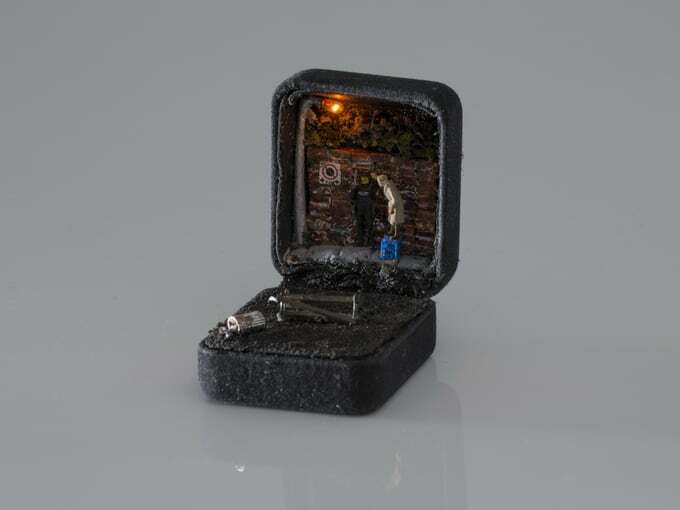 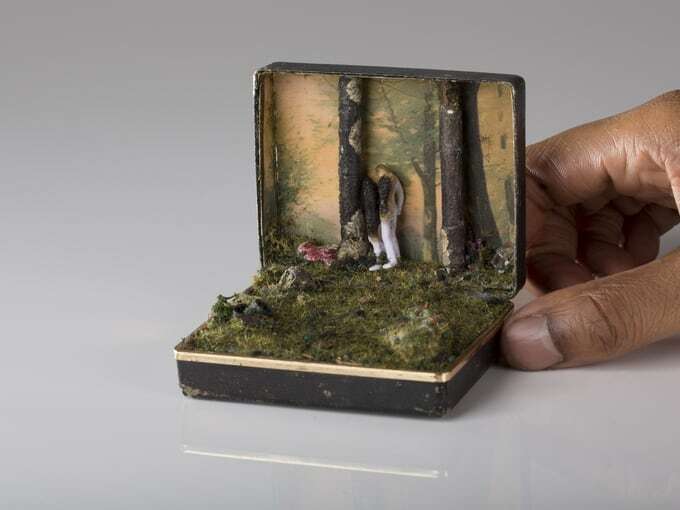 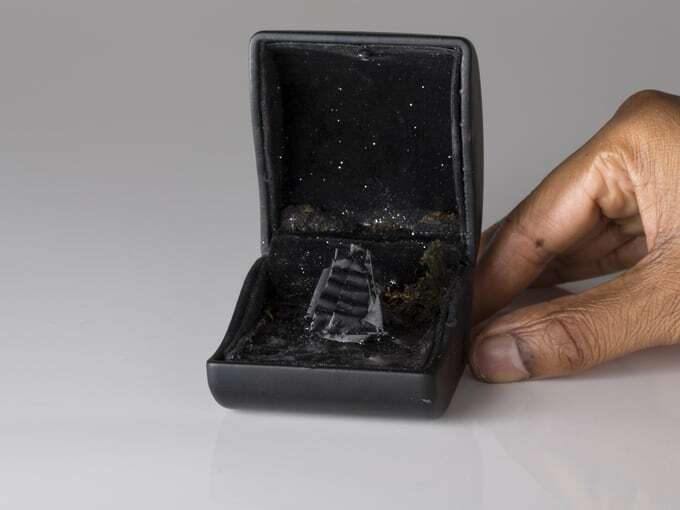 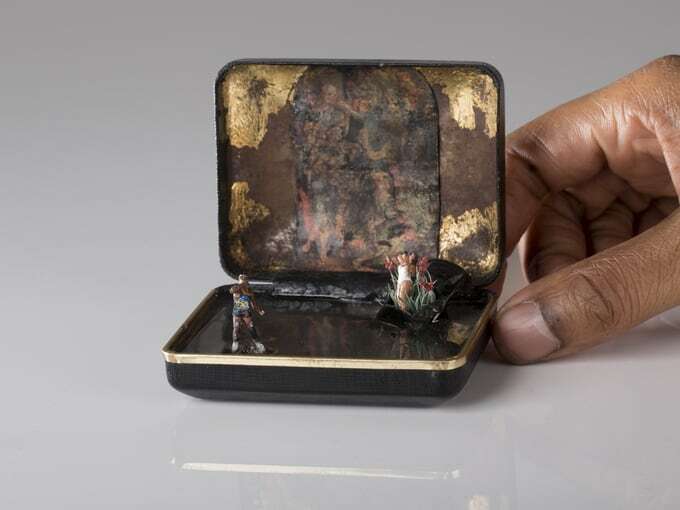 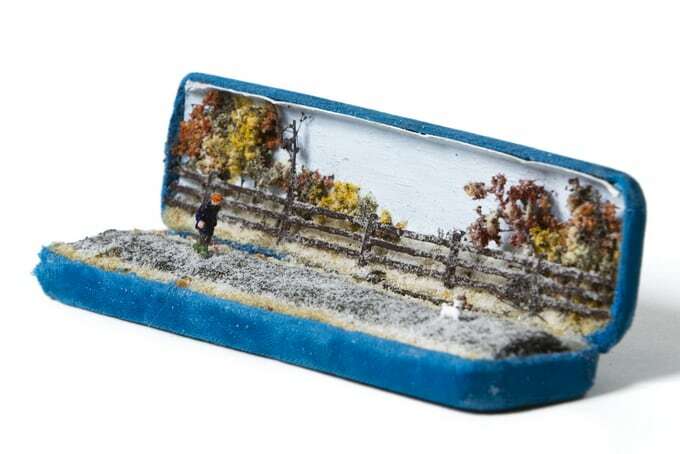 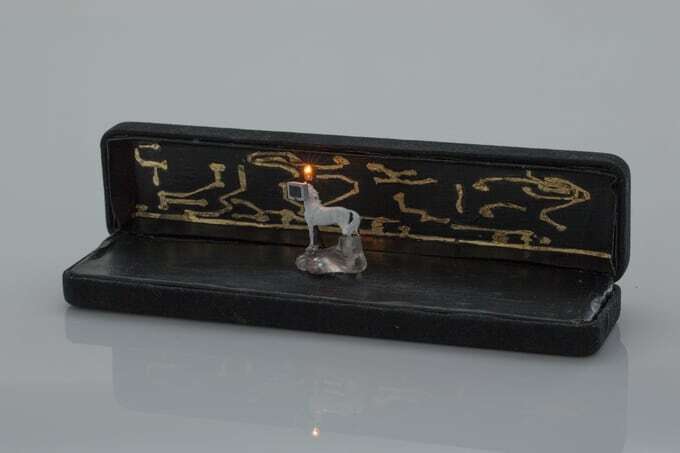 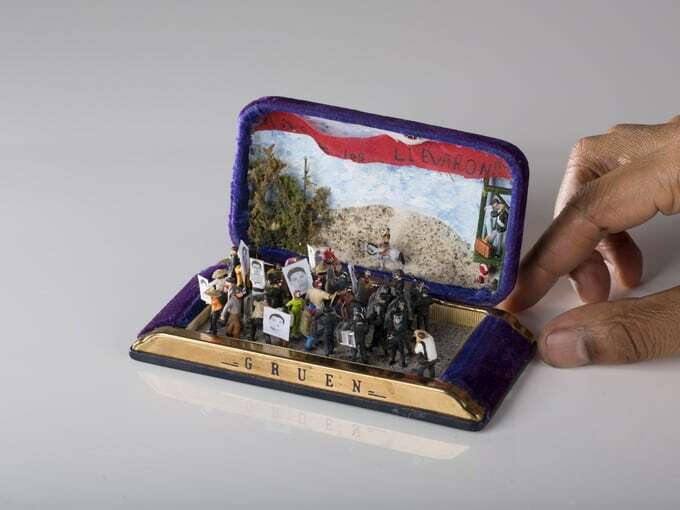 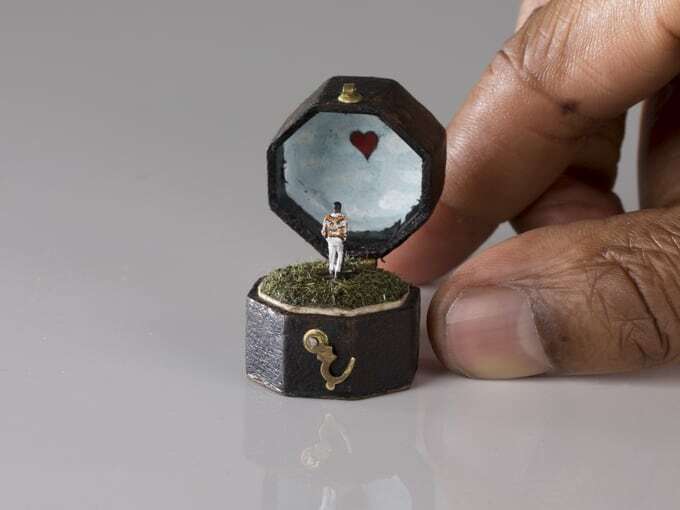 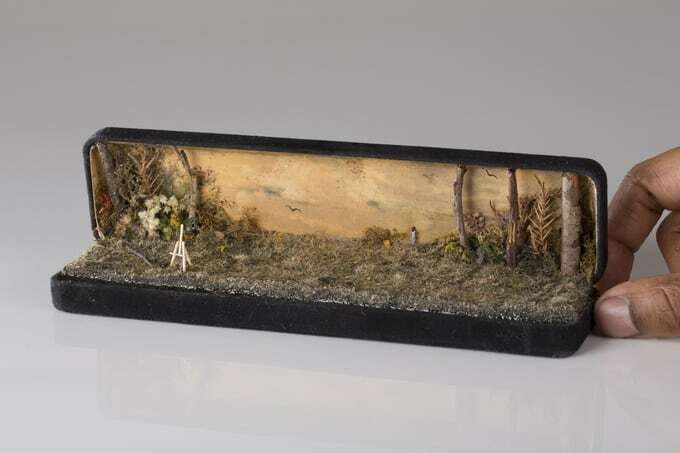 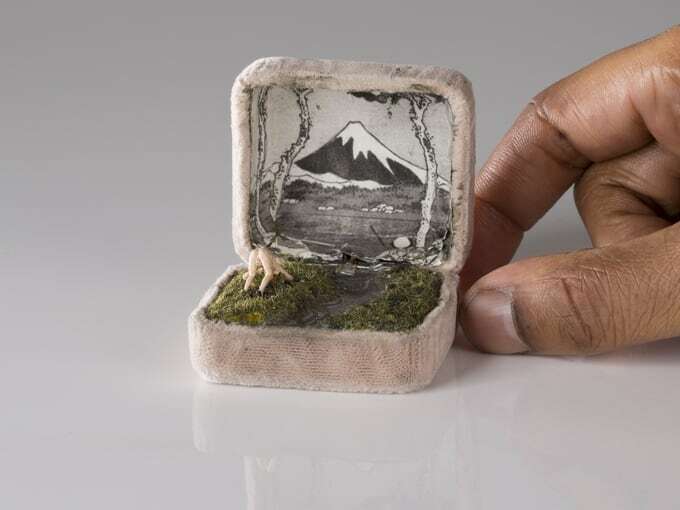 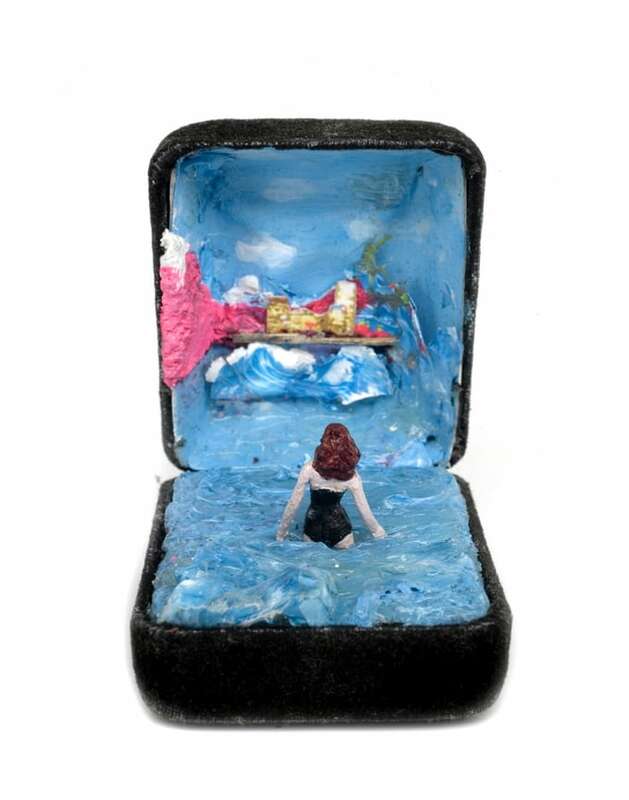 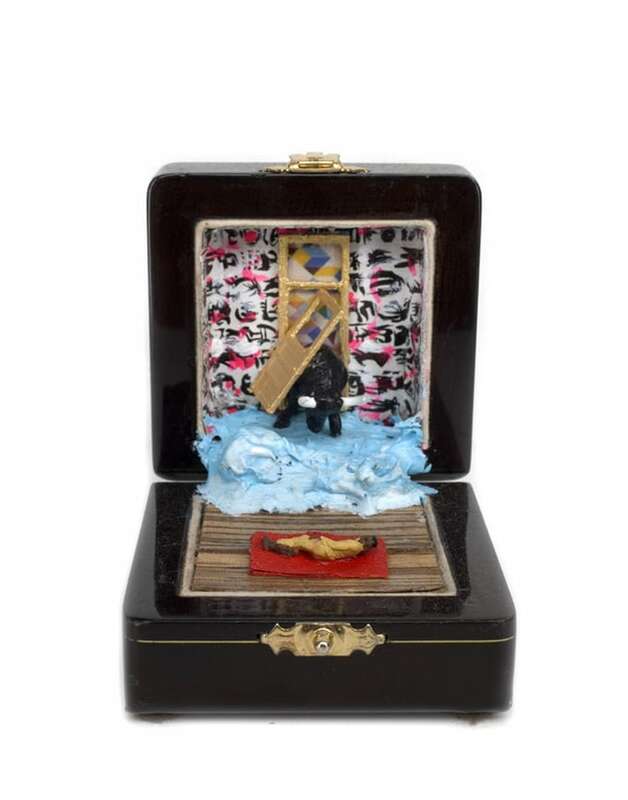 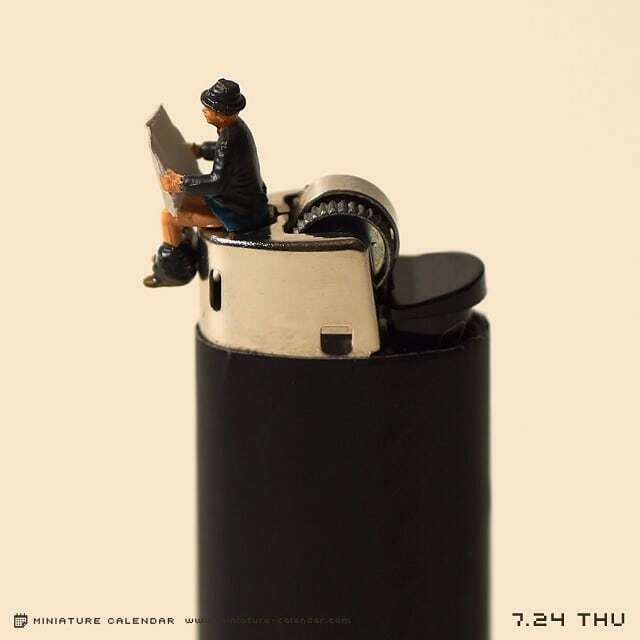 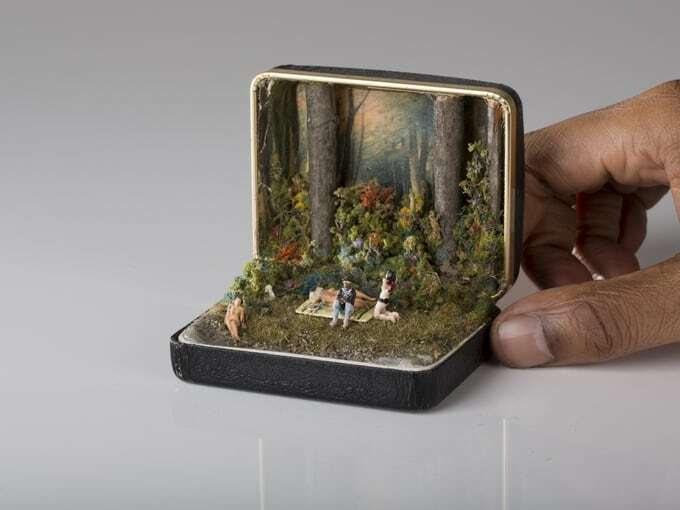 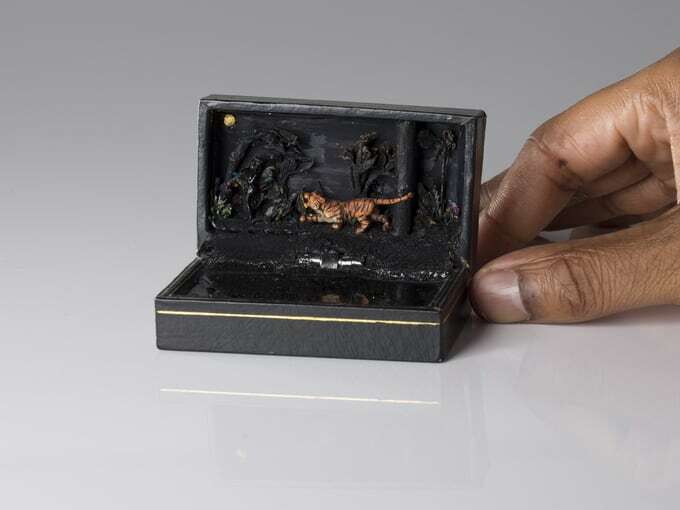 Canadian artist Talws creates miniature dioramas in old vintage ring boxes. 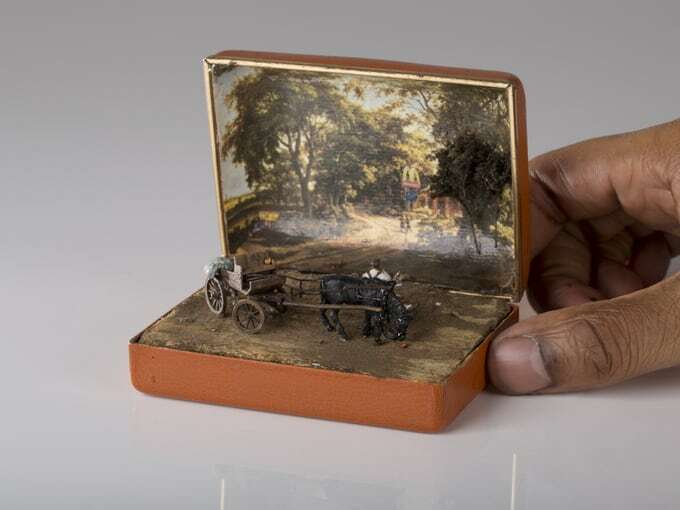 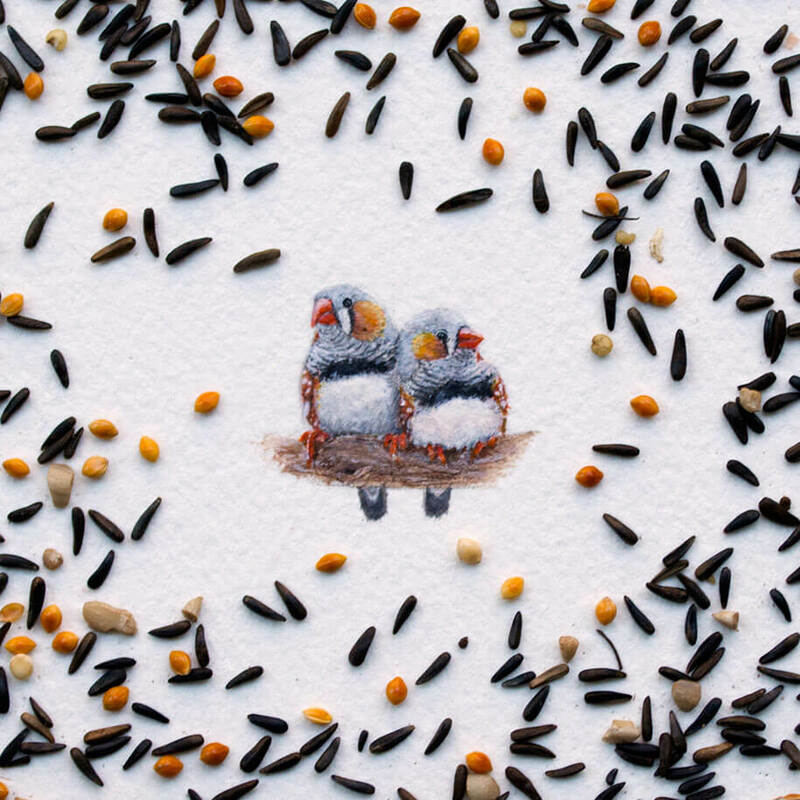 The canvas is quite limiting, but that’s doesn’t stop Talwst, who has transformed the tiny boxes into variety of scenes. 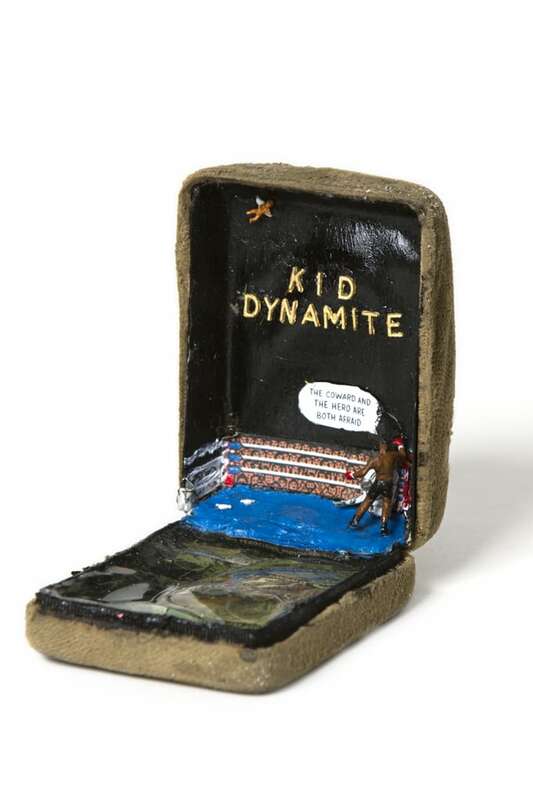 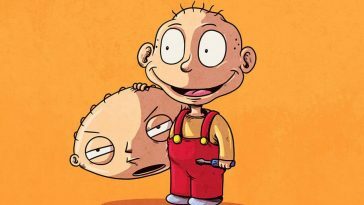 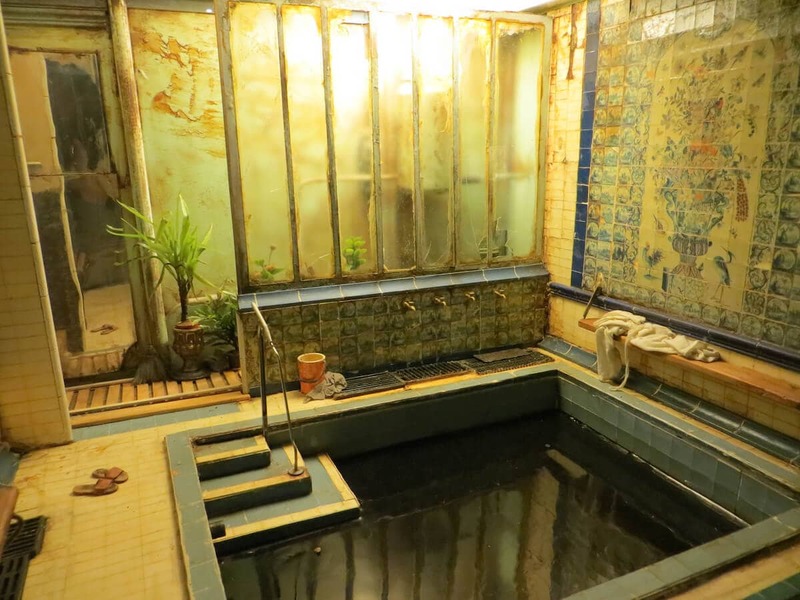 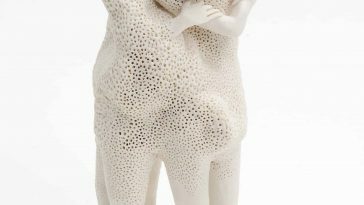 Some reference pop-culture, other history, and some are just artist’s memories made manifest. 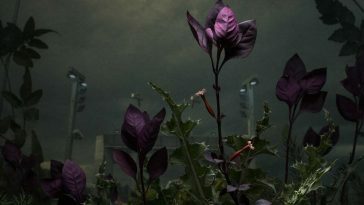 he said to The Guardian. 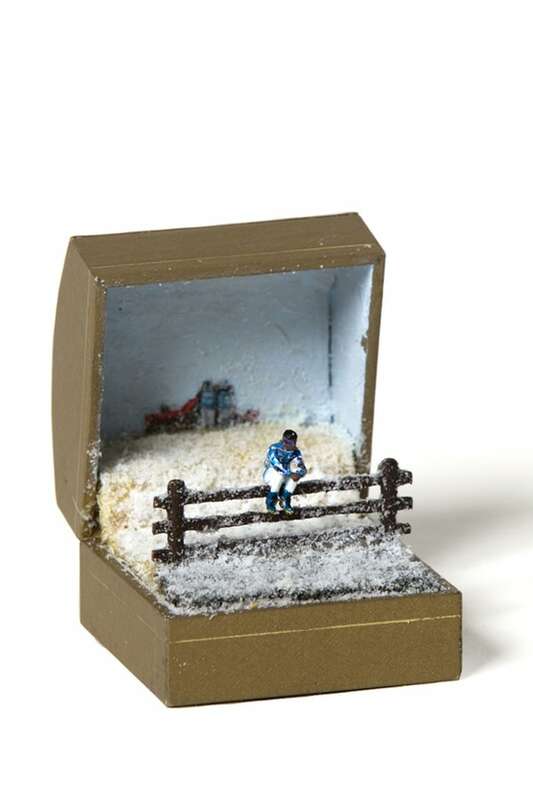 He gets some boxes himself, either in market or on eBay, and gets sent some by his fans.